Good news Hofstra sports fans…you have something positive to read. No more drunk driving incidents by newly hired coaches, no more murdering of football programs. Put that behind you and focus on the present. 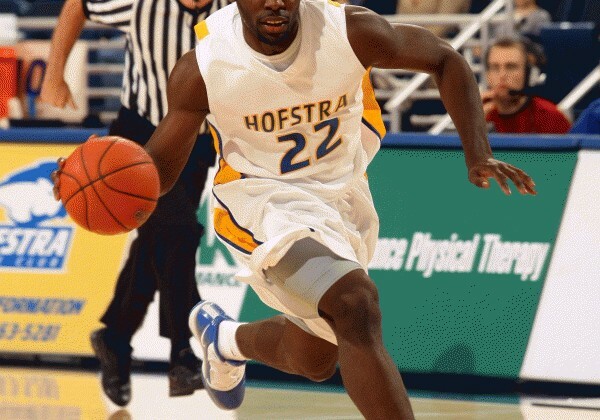 Charles Jenkins was named the Colonial Athletic Association Preseason Player of the Year, and the Hofstra men’s team was picked to finish fifth in the preseason poll. Jenkins was named the CAA Player of the Year last season after averaging 20.6 points per game to lead Hofstra to a 19-15 final record. He also averaged 4.5 rebounds and 3.9 assists, making him one of only five players in the nation to average at least 20 points, four rebounds and three assists per game. He is sixth in the country in scoring average amongst returning players, and second in the country in career points scored (1,767), behind only Jeremy Hazell of Seton Hall. In addition to winning the CAA Player of the Year award a year ago, Jenkins also won the Haggerty Award as the top player in the New York metropolitan area. He became only the ninth player in the 77 years of the Haggerty to win it twice, and has a chance to join Chris Mullin of St. John’s and Jim McMillian of Columbia as the only three-time winners this year. You can catch Hofstra on television multiple times this year. The Pride’s road game at VCU was moved to Thursday, Jan. 27 and will be shown on ESPNU. Hofstra’s game at Northeastern on Jan. 8, its home game against Old Dominion on Jan. 15 and its home game against Delaware on Feb. 26 will also be televised, with the Northeastern and Delaware games moved to a 12 noon start. Hofstra begins play with an exhibition game against Molloy on Sunday, Nov. 7 at 2 p.m., before opening the regular season with a home game against Farmingdale State on Saturday, Nov. 13 at 4 p.m. The Pride’s first Division I opponent with be perennial power North Carolina at the Puerto Rico Tip-Off on Thursday, Nov. 18 at 5 p.m., which will be televised on ESPN2. Hofstra’s other two games at the Puerto Rico Tip-Off will also be shown on the ESPN family of networks.